Mom Egg Review at CLMP PRESS FEST! 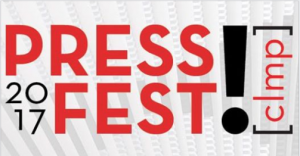 Celebrate indie lit with us at CLMP’s PRESS FEST!, an event of PEN World Voices Festival’s renowned Lit Crawl NYC. It’s a big small press block party in NYC on Friday, May 5, 4 – 8 PM. Browse and buy exceptional books, attend author signings and literary readings, and chat with editors and publishers. PRESS FEST! is now happening in NYU’s King Juan Carlos I of Spain Center at 53 Washington Square South. Publishers will take over the gorgeous, airy Atrium and the adjacent Portrait Room.